Will Ibrahim and Aarav enter Bollywood? Dhaka, 4 Jan, Abnews: Saif Ali Khan is going to have an exciting year ahead in 2018. Not only does he himself have some really interesting projects releasing this year, he will also be quite anxious about the much-hyped Bollywood debut of his daughter Sara that is happening at the fag end of the year. Sara Ali Khan is going to start her Bollywood innings with Kedarnath, that is directed by Abhishek Kapoor. She is paired opposite Sushant Singh Rajput in the movie. But there have been rumours going on that it is not just Sara, even her brother Ibrahim is harbouring Bollywood ambitions. Saif Ali Khan also confirmed this when he spoke to DNA recently. He revealed that not just Ibrahim, even Akshay's son Aarav is prepping himself up for getting into Bollywood. He said, "Yes. Ibrahim, Aarav and that group of youngsters want six packs and aspire to be Bollywood stars. I don’t know if anyone wants to be an actor. It is kind of disturbing because not everyone makes it. But then what the heck? Talking about being a star, my wife points out that till a few years ago, even I didn’t want to be an actor, I wanted to be a star." If that happens, nearly everyone in the family will be in the movie business. To which he responded, "It’s really nice. Amma works even now. She has a lot of energy and wants to move around all the time. I’m more like my father. I’m happy to read a book on some afternoons. Bebo, Soha and Kunal (Kemmu) have their careers going. Now, we have Sara joining in." Saif and Akshay have done some really enjoyable (and sometimes trashy) movies together. 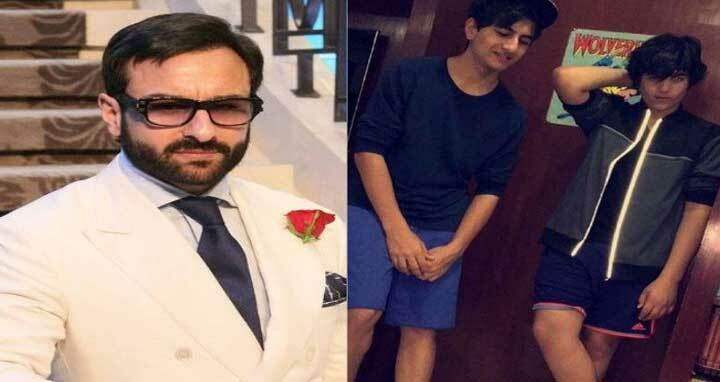 So can we expect Aarav and Ibrahim to be Main Khiladi Tu Anari reboot?